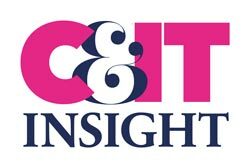 C&IT Insight is the home of C&IT's expert reports, webinars and industry surveys. All content is free to access, brought to you in collaboration with our partners. This website is updated regularly with fresh insight, providing you with up to date news on industry trends and event best practice. Sign up for exclusive access and email updates on new content, conference and awards news. This series, produced in partnership with Cvent, will give you proven insights into how to take your live events to the next level. Through a range of webinars, eBooks, surveys and expert reports we will bring you the latest thinking and best practice on everything from social media through to Apps and event marketing strategies.